It’s easy to take water for granted when we always see it flowing from our showers, faucets, and lawn sprinklers. But when was the last time you thought about the natural source of your water? Does it come from a nearby reservoir or river? Is it piped in from far away, or collected when it rains? Your water’s original source will depend on where you live, but for many people, the answer lies underground. Although most of our freshwater is frozen in glaciers and ice caps, there is more liquid freshwater beneath our feet than we can see above ground. This hidden freshwater provides drinking water to more than 2 billion people worldwide. 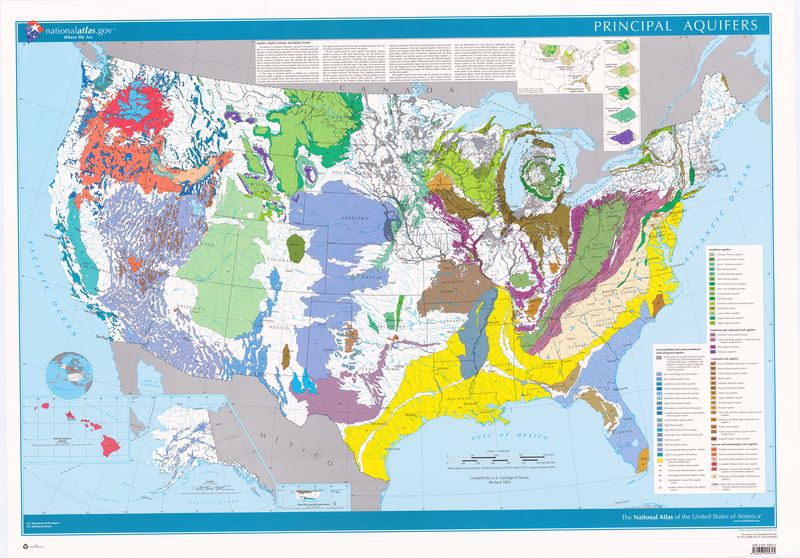 In the United States, there are many aquifers, as you can see on this USGS map. The different colors represent different types of rock. I live down in Florida where the Floridan Aquifer underlies almost the entire state. This aquifer supplies drinking water to 92% of the population, which is about 18 million people! 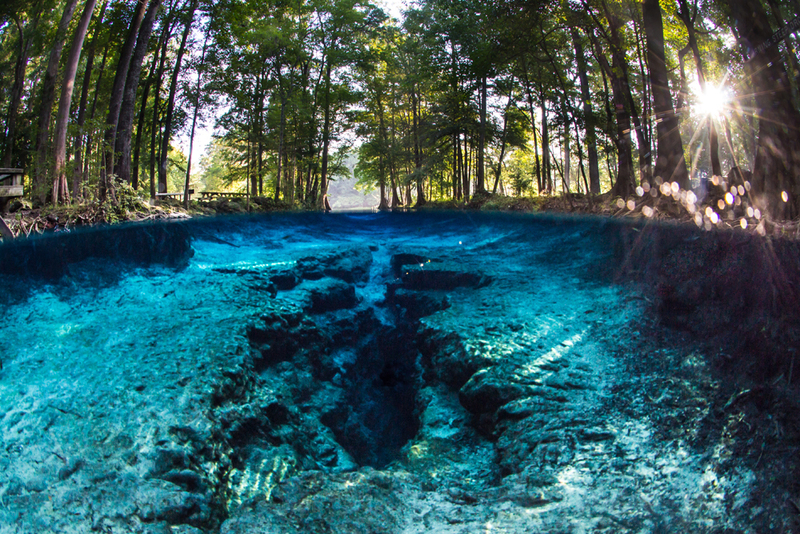 Although the Floridan Aquifer is mostly hidden beneath our feet, it also supplies water to more than 1,000 springs. Some of these springs are tiny trickles, while others are massive pools more than 100 feet wide. Springs are classified by “magnitude,” or the amount of water that flows out of them in a day. The largest springs are first magnitude, discharging at least 65 million gallons a day. That’s enough to fill about 1.5 million bath tubs every day! These springs provide direct connections to the aquifer. But unless you’re a certified cave diver, the aquifer is off-limits. Many people will go their entire lives without ever seeing the source of their water, and I want to change this. 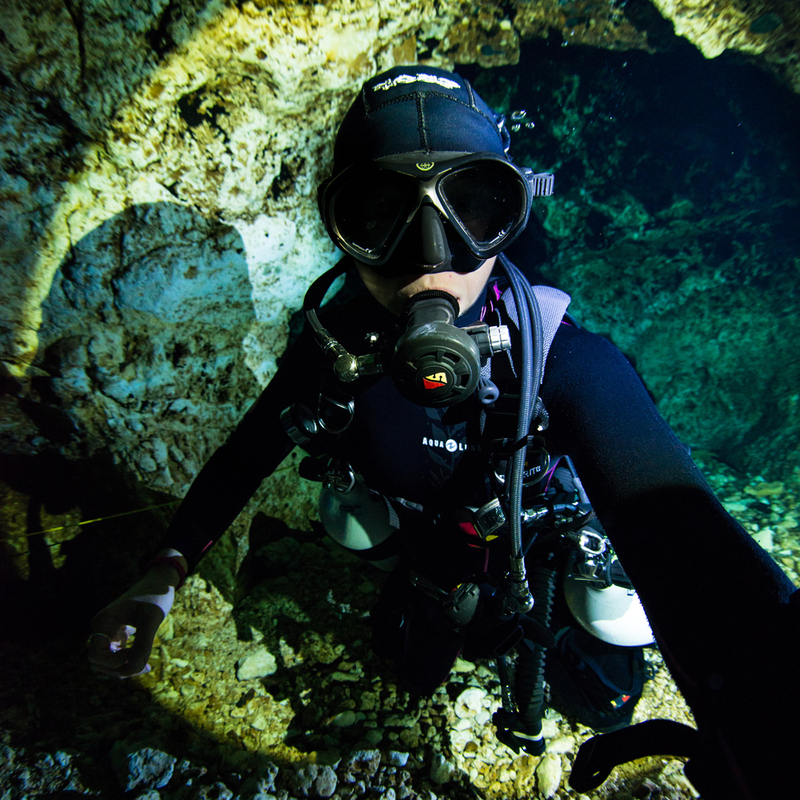 So, last summer, I created the first 360° virtual tour in the Floridan aquifer—think Google Street View in an underwater cave. 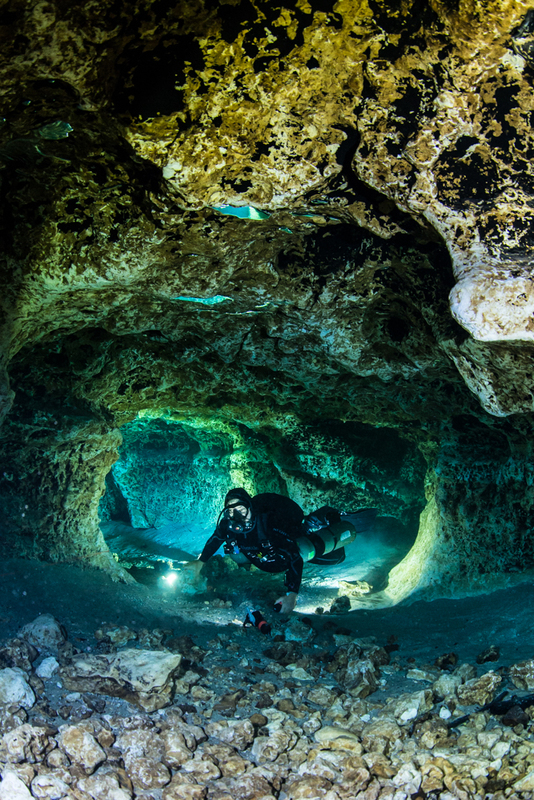 Cave diving and underwater photography require specialized gear and equipment. A housing for my camera allows me to take it underwater, and an L-shaped metal piece that screws into the housing holds it in place as I take the 360 photos. Here’s a behind-the-scenes-glimpse of what it’s like to shoot the 360 images in the caves. You can see that my camera is mounted on a tripod as I spin it in a circle to take photos in all directions, including one photo directly up toward the sky and one facing down toward the ground. Taking pictures in the caves is challenging because of the strong flow (think about swimming against a river or a current at the beach!) and pitch darkness. In some of the photos we are using up to 12 lights that we place throughout the cave. Back on the computer, I link the 360 images together into a virtual tour, and now anyone with internet access can dive into the aquifer on their computer, phone, or with 360 goggles. I created the tour for an environmental education program called Walking on Water. Starting in mid-March, I will visit schools to teach Florida 5th graders about their state’s unique freshwater resources. 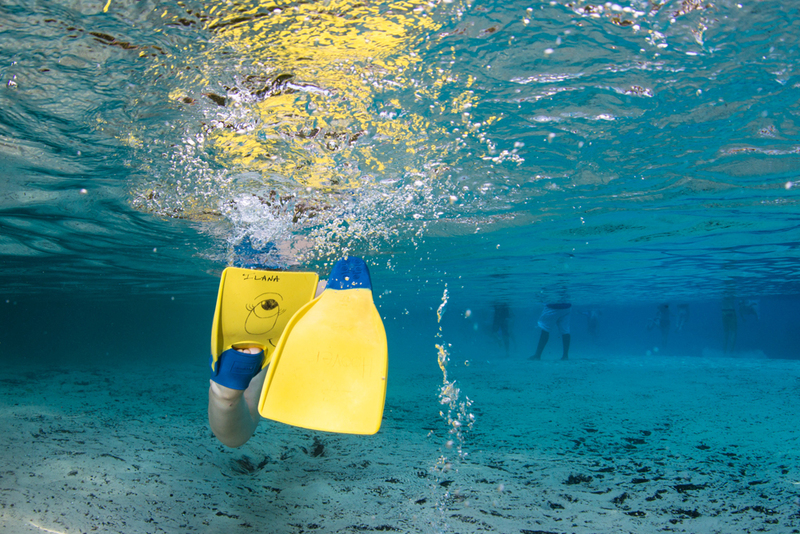 Besides clarifying the often-abstract aquifer for elementary school students, the Walking on Water program also includes field trips to the springs to let the kids try underwater photography and creative writing for themselves! My research investigates how we can best use these immersive and creative education programs to teach the next generation about their most vital resource. Next post, we’ll dive into the springs with 5th graders from Florida and share some of their underwater photos and stories! Nat Geo: What is an aquifer?